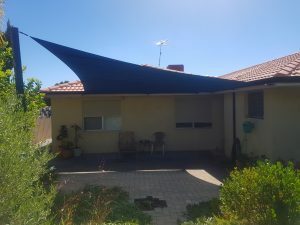 Shade & Sail Innovations offers unique shade coverings that have been designed and engineered for local Perth conditions. Our shade sails and shade structures are made for both residential and commercial applications, with all products designed and engineered to meet stringent quality standards. Here at Shade & Sail Innovations, our mission is simple – to provide our customers with friendly service and deliver quality products in a timely manner. Our shade sails are made in a large variety of popular sizes and colours, and because they’re made to measure, they suit almost any application. The in-house workshop and sewing loft that we use is capable of advanced steel fabrication, with our talented team using computer software to design and manufacture a wide range of cloth canopies using the best available materials. The design of your shade sail is limited only by your imagination. 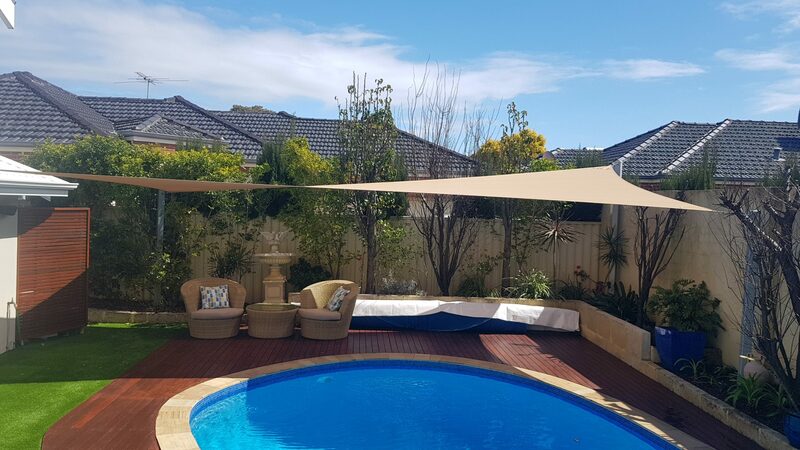 Shade sails Perth look fantastic in a range of conditions, with our great designs perfect for covering pools, barbecues, patios, pool decks, spa’s, courtyards and anywhere else that sun protection is required. 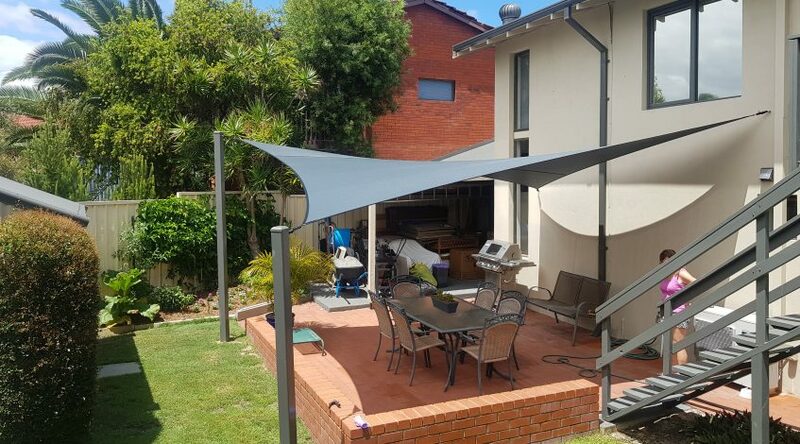 A quality shade covering should be both functional and attractive, providing protection from the sun and helping outdoor areas to look fantastic. Because we design and fabricate our own products in-house, we can place a shade sail or structure in any environment. Shade Sails are not just useful in domestic spaces; they’re also ideal for use in public outdoor areas. Our innovative designs are well-suited for shopping centres, car yards, mine sites, community centres, child care centres, construction sites, schools, outdoor playgrounds, park activity areas, and sporting venues. These structures are modern, clever and require very little maintenance to keep looking their best. Along with shade sails Perth, we also provide high-quality shade structures, which use supporting upright posts and either square or rectangle cloth. Our shade structures are available in a great range of colours, sizes and styles to suit both domestic and commercial applications. If you’re looking for a low-cost shade solution for a residential or commercial environment, Shade & Sail Innovations has a solution for you. To achieve our goal of becoming a trusted market leader, only the highest grade materials are used in the construction of our shade sails and structures. We only use premium-grade, high-quality cloth for the canopy, with our advanced cloth fabric providing unmatched durability, up to 96% UV protection, and the capacity to breathe and enable hot air flow. 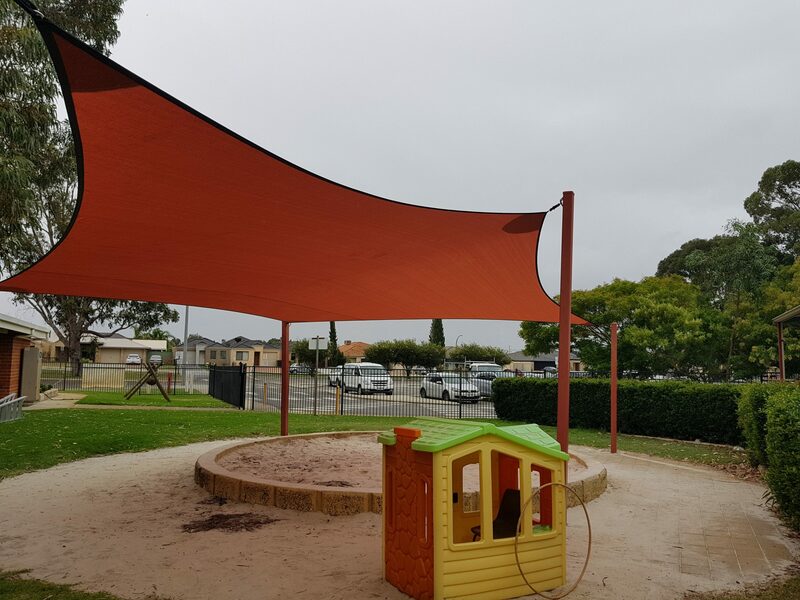 When it comes to shade structures, the Perth climate can be demanding, with our unique shade covering system designed and engineered for local WA conditions. Along with the overall design and high-quality canopies used, we also place a lot of importance on the supporting poles and fixing materials. We only use the best quality steel components, which we work into their appropriate design, Hot Dip Galvanise, and powder coat in the colour of your choice. We are a privately owned and operated business with over 22 years experience in the shade sail industry. Shade & Sail Innovations provide a full installation service across Perth, with our full range of products also available in kit form. Along with our comprehensive domestic and commercial services, Shade & Sail Innovations also act as wholesale manufacturers and distributors of hi gh-quality products to the shade sail industry. As one of the leading worldwide suppliers of shade sails for over 15 years, our products have been tried and trusted in all states of Australia in addition to numerous locations across the world.